Maintaining a healthy lifestyle is no easy business, especially if you're working 9-5 with a pretty hectic schedule. Well, now that we're in Summer, we thought we would give you a little help with our healthy top picks. For many men, it can be quite tricky to balance a healthy lifestyle with a busy schedule, and sometimes all you need is a chocolate bar and a microwave meal. This week, we have selected some healthy and some less healthy snacks which are better options than grabbing a packet of sweets and a fizzy drink. For 9 years, Graze has been creating cool products that made to help the busy and health conscious foodies of the world. I'm sure you would have seen many of their products in your local store, but have you ever spotted their Protein Bites? 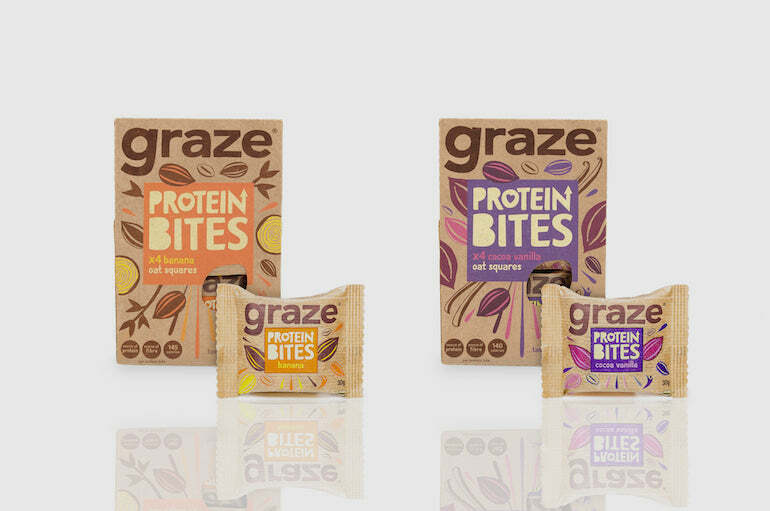 The snacking experts, Graze, have introduced their oat-based Protein Bites in 3 flavours: Cocoa & Vanilla, Banana and Honey & Seed. Take our word for it, they taste so good you'd most likely forget they're even a healthier choice. These bites are filled with energy and 4.5g of protein, making them great, and tasty, snacks for people on the go, gym lovers, or just people looking for the next healthy bite to try. Head over to their website to discover more. Where to start with Radiance Cleanse? These were hands down the best health juices we have tried, and we don't say that lightly. If you're looking for your next cleanse or simply want a delicious and nutritious alternative to a fizzy drink, these are your guys. We love them, so we know you will too. 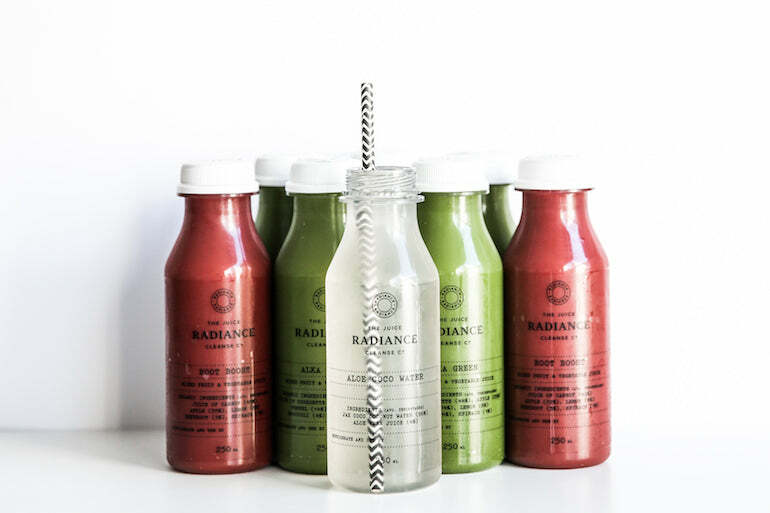 Radiance creates wonderfully tasting, fresh and organic cold-press juices. They are made with the aim to aid your healthy lifestyle and cleanse your body of all of the harsh chemicals and toxins that you find in many everyday foods (and there are a lot). You can enjoy these juices as part of a full on cleanse, where you swap out your diet for these 500ml juices, or you can enjoy one as a special feel-good treat. Learn more about Radiance Cleanse on their website. Europe's leading watermelon water brand, 'What A Melon', has released a new 1 litre take-home pack, meaning coconut-shy consumers can now do even more with this summer's thirst quencher of choice. Positioned as the 'perfect summer fix without the bits & pips', the new 1 litre pack has come to help you ‘shake, share and celebrate, those endless summer vibes’ – since nobody eats a watermelon on their own. 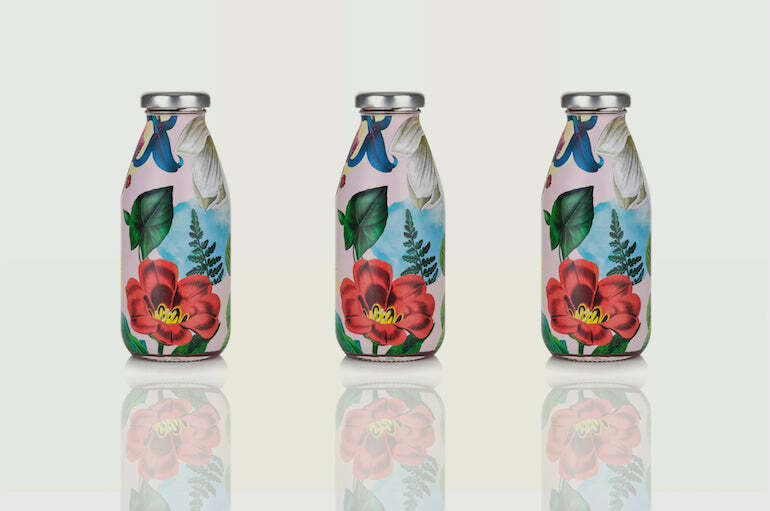 The product, made with 80% watermelon juice, a splash of spring water and lemon, contains approximately half a watermelon per 330ml carton and with no added sugar, artificial flavours or additives, it contains only 36 Kcal per 150ml serving.Now available from Waitrose & Sainsbury’s at RRP £1.95. Hummus is fast becoming a national treasure. Everyone is after it, but could there be a healthier way to consume the product? Of course, there is, and we thank ChicP for this. 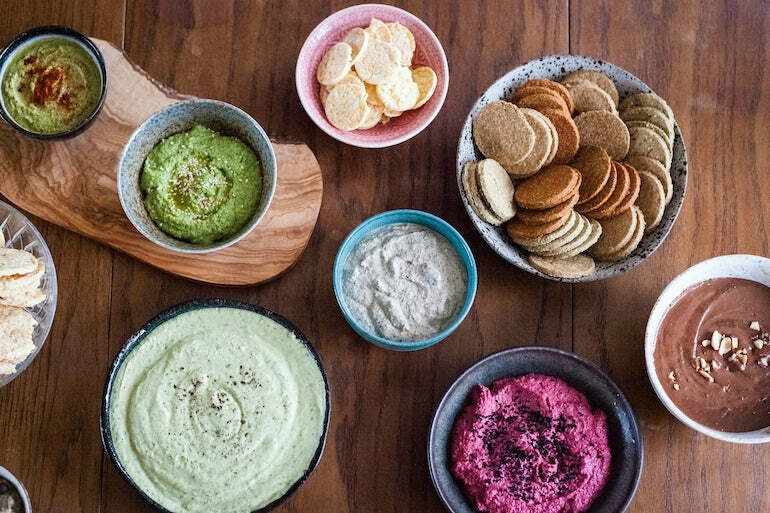 ChicP creates colourful hummus dips which are made from raw vegetables, meaning they have all the goodness and much less of the bad stuff. ChicP encourages us to play around with their products' versatility, for example, using it as an ingredient for meals, spreading it on toast or just sticking to using it as a dip. It comes as no surprise to us that ChicP has been able to take control of the hummus market, especially as one of their main missions is reducing food waste. Coming in a variety of unique, incredible, mixed flavours, ChicP is a must for hummus lovers. Check out the ChicP website for more. Want a delicious and refreshing drink that isn’t loaded with refined sugar and artificial ingredients? Look no further than Firefly Drinks. Its founders ran into a similar quandary, which inspired them to launch their own brand of all-natural juices infused with botanicals. Our personal favourite is their new Superfly, which was crafted with award-winning mixologist Ryan Chetiawardana, aka Mr Lyan. This new flavour is a delicious mix of zesty grapefruit, sweet redcurrant and the cherry tea taste of cascara - it’ll also give you a natural kick of energy with green coffee. You can enjoy the beverage on its own, or add in a cheeky splash of your favourite spirit. Explore more of Firefly's drink over at their website. This product certainly brings back memories of fun on-the-go yoghurts we would have as children. However, this time around, we have much healthier options... introducing Pro-Yo. These grab ‘n’ go yoghurts have more protein than two eggs and less sugar than an apple. And yes, they do taste even better for it! Pro-Yo comes in three flavours of Berries (Boysenberry, Blueberry and Acai), Coconut with Honey and Vanilla, and Strawberry. 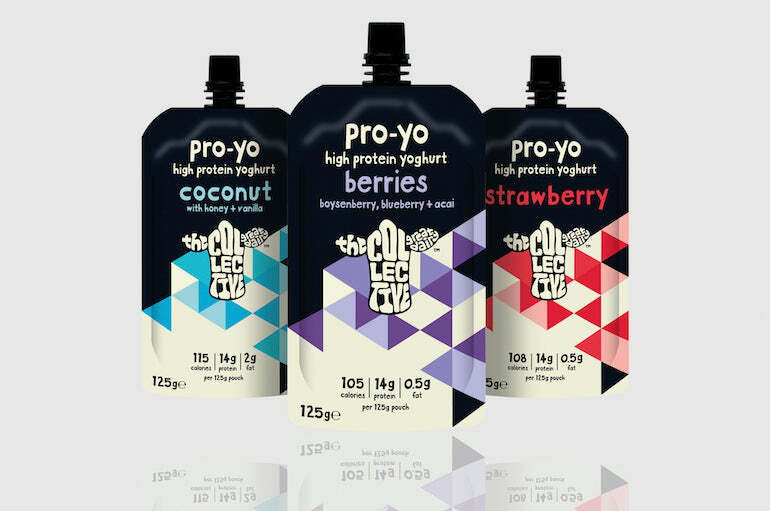 Brought to us by The Collective, each of the yoghurts contains under 120 calories, are low in fat and high in protein. As if this isn't enough, they are also gluten-free and vegetarian-friendly, meaning even more of us foodies can get our hands on them! We found they were easy and hassle free to eat, making them perfect for the busy man or the daily commute. Have a look at the Pro-Yo website for further information. 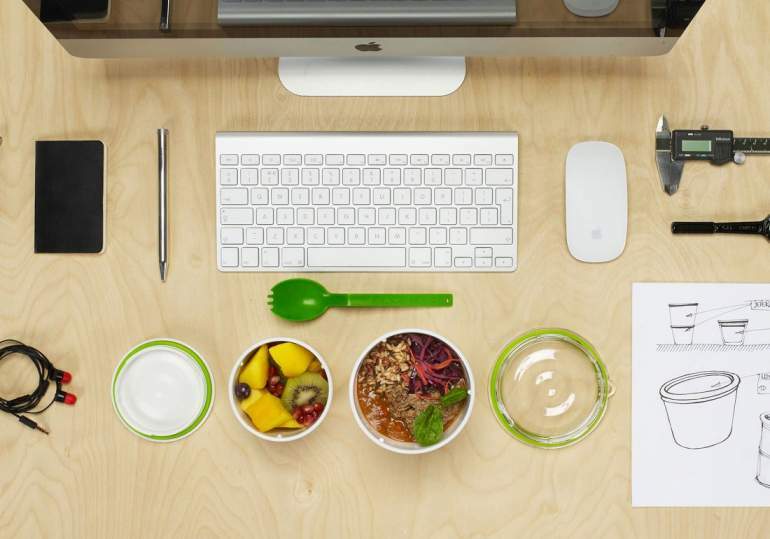 We all know that breakfast is the most important meal of the day - so why not treat yourself with a healthy option? If you are a fan of high-quality granola made with pure maple syrup then Spoon Cereal is the one for you. Founded by a brother and sisters duo from London this little box of goodness is ideal as a breakfast meal or as a snack throughout the day. Spoon was founded by a brother and a sister-in-law duo from London. This little box of goodness is ideal as a breakfast meal or as a snack throughout the day. We know that this may not be as healthy as raw eggs in the morning, but why deny yourself a breakfast that is packed with nutrition and energy? We love to mix our Spoon with yoghurt, but you could simply add a splash of milk or add it to your porridge. Why not add some fruits for that extra morning punch? 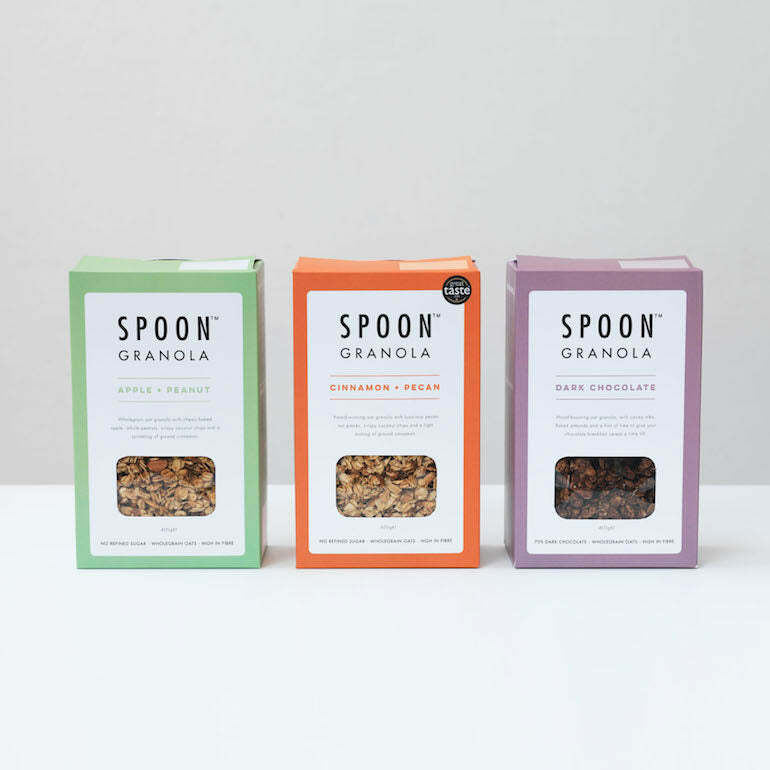 Take a look at the Spoon products on their website. 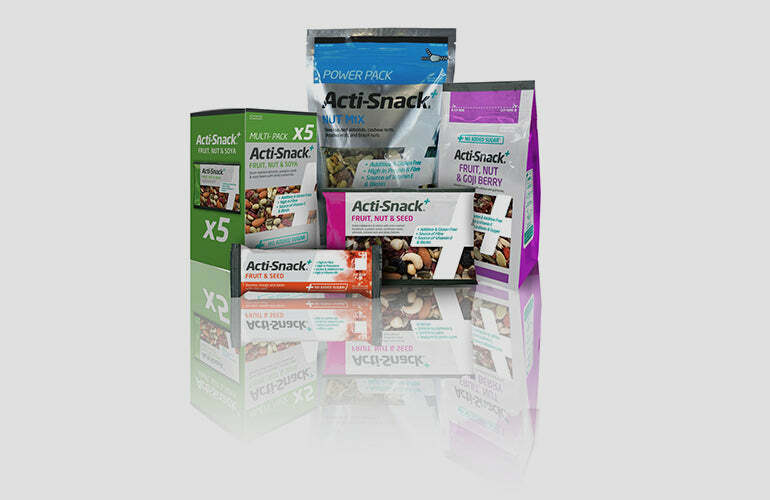 Acti Snack has a great range of healthy and delicious workout snacks that are created to meet individual sporting nutrition needs. These needs come in different forms, including ‘Sweet & Sour Mango’, ‘Fruit, Nut & Seed’, ‘Fruit & Nut’, ‘Fruit, Nut & Soya’ and ‘Nut Mix’. All of these are gluten free and free from artificial additives and preservatives, and they have passed our taste test. If you, like many other men, are looking for a snack that will help give your body that extra edge when exercising and help you refuel afterwards, Acti-Snack is certainly something we suggest you give a try. Learn more about their products on the Acti-Snack website. Multi Power’s high protein bars definitely make it to our top picks when it comes to great workout snacks. They produce bars that contain 40% and 53% of protein in each, so you can choose the intake you have depending on your workout routine. Coming in flavours including vanilla, chocolate, blueberry or cookies and cream, there's a protein bar that will suit everyone's taste buds. Multi Power doesn't stop at bars, though. 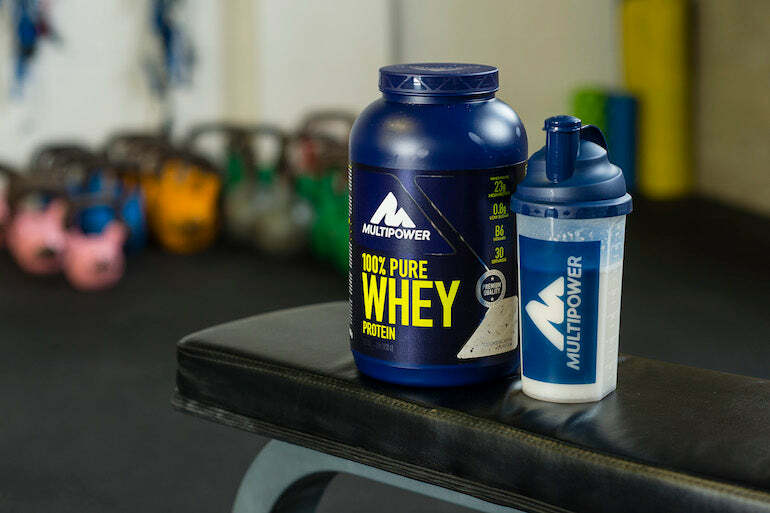 They also make drinks, powders, gels and supplements which are all in place to aid your workout and boost your performance in the long run. Head over to the Multi Power website for more. If you're a tea lover, keep reading - this one is for you. Fortnum & Mason have created twelve new infusion teas of the most amazing flavours, and this is something we can vouch for. How many times have you had Liquorice, Mint & Lemon Verbena, Sour Cherry & Orange or Rose & Violet flavoured teas? We're guessing not many, so here's your chance. So, why have we included these in our healthy lifestyle top picks? These teas are made with 100% natural ingredients, which is what makes them taste so good. In addition to this, they are all caffeine free, so you can enjoy one at any time of the day without worrying about the effects. 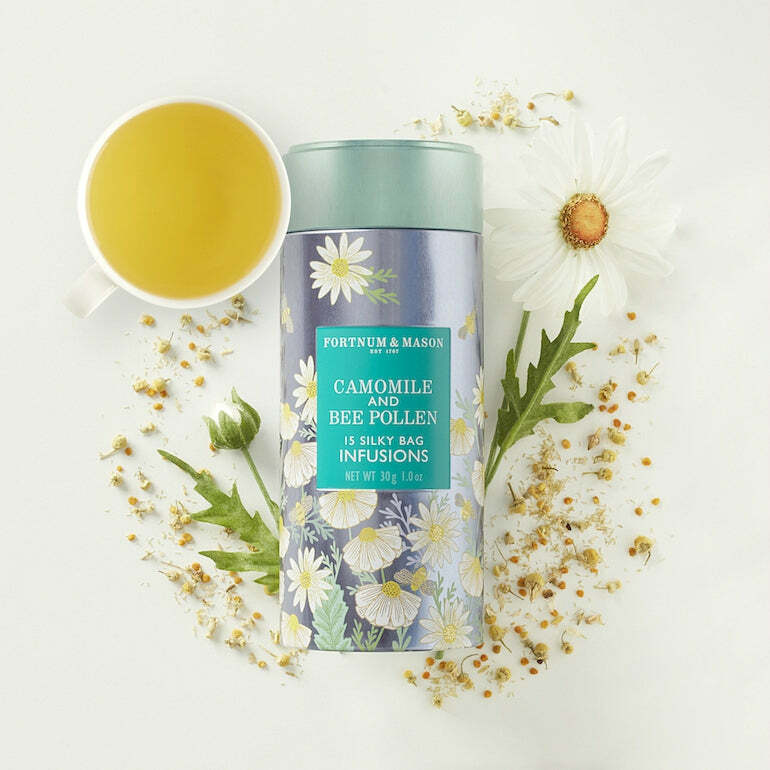 Other Fortnum & Mason Tea Infusion flavours are Camomile & Bee Pollen, Apricot, Honey & Lavender and Rhubarb, Raspberry & Nettle (and more...). Read more about the Fortnum & Mason teas on their website. 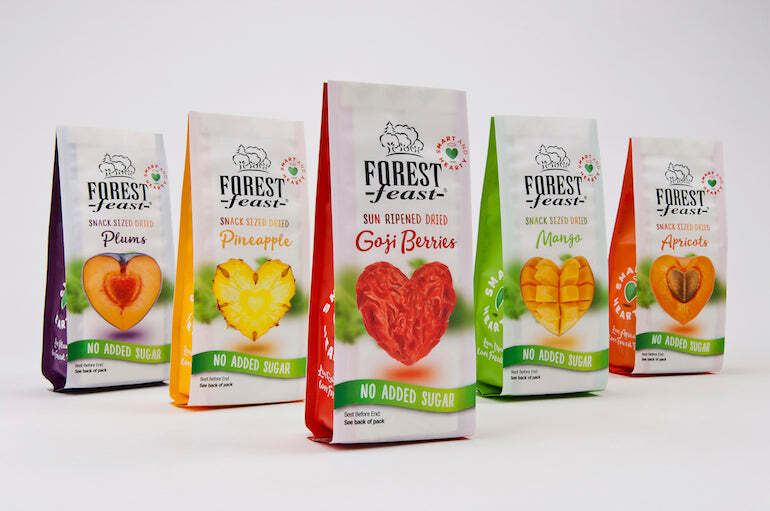 Forest Feast is a premium dried fruit and nut snack company, offering a healthier alternative to those sweet and savoury cravings. They started the company back in 1996 with just their standout product the ‘Exoctic Dried Mango’, something which is pretty popular in the UK (and our office). This family run business is now a global brand which many people, including us, love. With no added sugar, Forest Feast gives us a healthy, and much easier way, to get our fruit intake. We think it's great that we don't have to eat a whole mango in one because let's face it, that can't really happen on the tube. These snacks are easy to eat on the go for an energy boost or just to fill our hunger. Head over to the Forest Feast website for more. It can be so frustrating when you prep a healthy meal but have to slop it into old, stained 'I can't even find the lid' Tupperware. It's also frustrating when you see children with cool lunchboxes but know that if you picked up a Starwars one you'd get many a disapproving look. If this sounds all too familiar, let us introduce you to Box Appetit. Box Appetit by Black + Blum creates 'lunch boxes' for adults that actually look good. The advantages of having decent Tupperware is that not only does it appeal more to eat from, but it also helps with aspects like portion control whilst being better for the environment (win x3). Box Appetit produce quality products that may look expensive at a first glance, but are a solid investment, especially for the working man. We, for one, can't wait to chuck out our old Tupperware to make room for these. Take a look at more of their products on the Box Appetit website. Have you ever heard of quark? Neither had we until we came across Nutrii. To brief you, Quark is a fresh dairy product that's created by warming soured milk to 20° - 27 °C until it curdles to an extent. They then strain it and use it as an ingredient to create amazing products. You may not think it sounds great, but don't knock it until you try it! 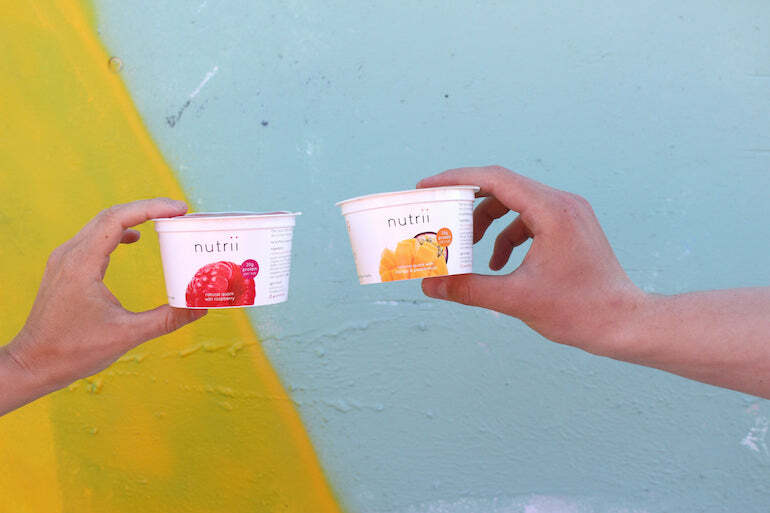 Thankfully for us, Nutrii has been able to turn this delicacy into a yoghurt with a variety of flavours such as Raspberry and Mango & Passionfruit. Nutrii is almost fat-free and is packed with protein whilst being low in carbohydrates. Quark has gained a reputation over in northern Europe so much so that Quark products now take up most of the dairy section in Scandinavian supermarkets. Don't you think it's about time we caught on trend too? Learn more about Nurtii products over on their website. 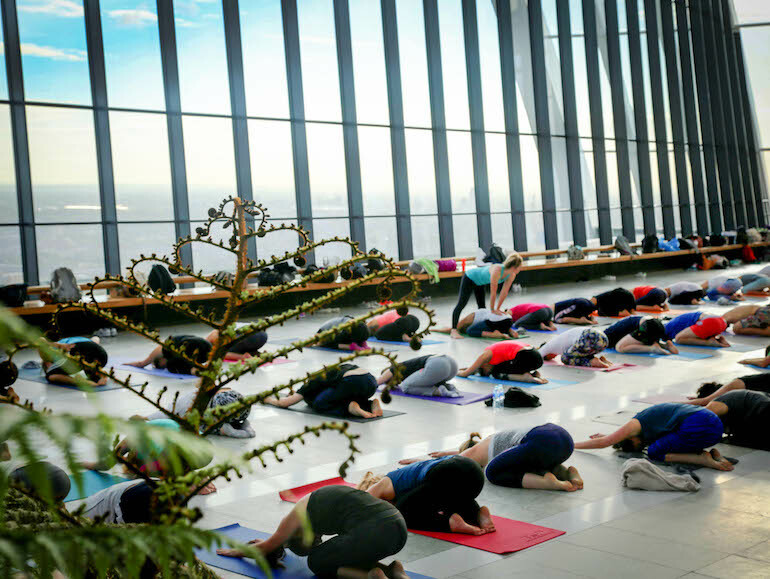 Sunrise yoga at Sky Gardens takes relaxation to new heights. The hour-long guided session is perfect for any experience level, so don’t be shy to try it even if you’re a beginner. We guarantee that you won’t have any trouble finding your ‘moment of gratitude’ as you stretch out and unwind 160 metres off the ground. Watching the sun rise over London is totally worth waking up early, and adds to the serenity of the experience. You also have the option to add breakfast onto your yoga session, which features light and healthy options. Overall, sunrise yoga at Sky Gardens is the perfect healthy way to start your day - and a great opportunity to stock up on Instagram posts. Find out more and book yourself in on their website. All the booze and none of the calories. Ok, that's a lie, but work with us here. Naturally, beers and lagers are huge contenders of what causes the dreaded beer belly, but we can't live without it, can we? (The beer, that is). So, we have looked long and hard for a product that gives us the best of both worlds. Introducing Skinny Brands! Skinny Brands create 'skinny' lagers, wines and canned cocktails that contain all you want from an alcoholic beverage without so much of the bad stuff. Their lagers have 30% fewer calories than your average lager, with only 89 per bottle. They are also gluten free and vegan. If cocktails are your pick, enjoy their mojitos, cosmos and margaritas all with only 90 calories. Take a look at their website for more. Crisps as a healthy snack? Oh yes, absolutely. 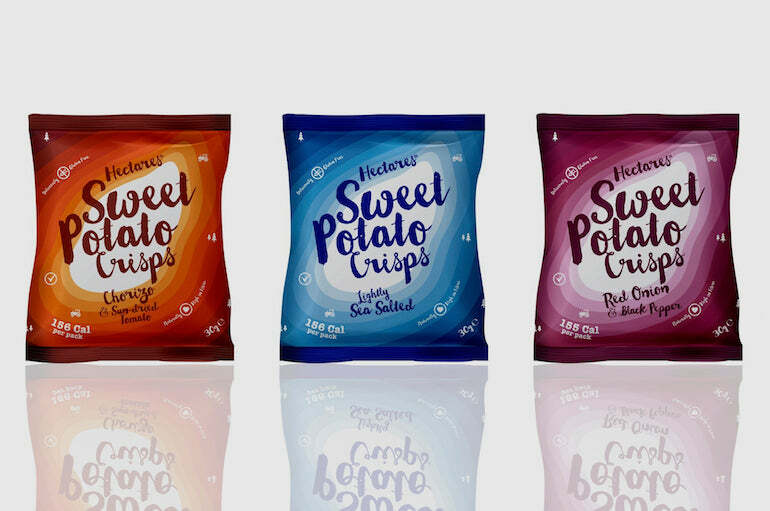 Hectares are sweet potato crisps that are packed with a whole load of flavour (three flavours, to be precise). Available in Chorizo & Sun-dried Tomato, Lightly Sea Salted and Red Onion & Black Pepper, Hectares crisps are gluten free and naturally high in fibre, making them a great alternative to your average packet of crisps. As much as we love these crisps, we love the business more. This is because Hectares are dedicated to giving back to communities. They support, and work with, Farm Aid, an organisation that aims to help farmers in eastern Africa to learn the skills they need to grow more and earn more. What better way to snack than knowing you're doing your body good, and other people's warfare good, too? For more of Hectares, check out their website. Lately, one of the biggest trends in the food industry has been chickpeas. With its nutritional benefits and ability to improve the environment, there's no surprise that many companies, like Hippeas, are capitalising on this food trend. Hippeas are full of protein and high in fibre making them a far healthier snack for you to eat at any point of the day. When it comes to snacking, we all want the healthiest option available to us. Gone are the days of high in salt and oil intensive crisps. 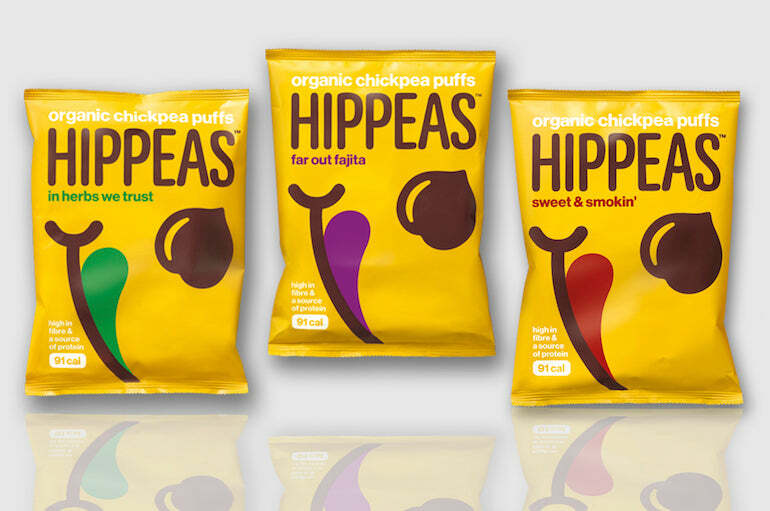 Hippeas comes in a variety of flavours such as Far Out Fajita and Sriracha Sunshine, all designed to create healthy and delicious packets of organic chickpea puffs, that taste great and do great. See more of Hippeas on their website. We are by no means suggesting you have you to eat pure and clean and only stick to your greens to be healthy. We think it's all about balance, and as long as you're managing to pack in your weekly exercise you'll be just fine. This week, all of the products we have selected are healthier alternatives to some of the products you may grab as a daily snack. They may be little changes but think about the effects that the one swap a day could have in a couple months time.